Title is lifted—swiped, stolen, nicked: a point to emphasize—from an essay in what Father Z rightfully calls Hell’s Bible by one James Blachowicz. Turns out old Willy S was right, the devil can cite Scripture for his purpose. There is no scientific method. Which is to say, there is no method particular to Science to discover Truth. Unless you count the rituals and rites developed around the cult of government grants. Blachowicz doesn’t consider these, so neither shall we. Our man should have known better than even hint at questioning Science, which is for many a religion. Well, Religion That Must Not Be Called A Religion. If you doubt this, search for Facebook or Twitter groups called things like “I F******* Love Science” which are devoted to pictures of colorful frogs, as if a thing’s mere existence makes it Scientific. There’s a good reason the Enlightened leaders of the French Revolution closed up Catholic churches and converted them to Temples of Reason (Rationalia nowadays). And that reason is religion, not Reason. Point is, HB’s readers became a mite frazzled when Blachowicz pointed out, what is obvious, that even poets refine, hone, change, adapt, reformulate, and, in a word, self-correct. And if it’s true that poets build truth upon truth, with occasional forays into Error, even far-reaching sojourns into Error, even lifetimes in Error, then it’s true theologians build truth upon truth, and philosophers, etc. The importance and effectiveness of scientific inquiry is not in question here. Philosophers of science have spent centuries trying to better understand it. I have done so by studying both science and philosophy throughout my career, starting with a degree in physics. I should probably add that I strongly oppose creationist and other ideological bents that just don’t want certain scientific findings to be true (e.g., global warming). That is the point, n’est-ce pas? As I’ve said before, everybody believes in confirmation bias, they just think it always happens to the other guy. We’re all of us, poets and physicists, theologians and technologists, inclined to see what we want rather than What Is. Scientists increasingly as much or more than anybody. How many papers have we vivisected on this site that only found evidence for what they desired and that missed the mountain of contradiction in front of them? Reminder: First Annual WMBriggs.com Bad Science Award, Second Annual WMBriggs.com Bad Science Award. Problem with a lot of modern scientists is that they say to themselves, “But I made this finding using scientific methods! And I’m a respected, well-funded scientist” with the implication that therefore they are strangers to Error. Oh, they’ll admit to small indiscretions, minor flaws, rough edges. More research is needed. But own that their central thesis smells more than the books from the Clinton Foundation? Never. Suggesting that the method science uses is its exclusive property is an inflationary claim that doesn’t serve science well. Science is a form of human knowledge. But there’s more to knowledge than science. The differences, of course, have to be preserved, but we won’t know what the defining differences are until we identify what it is that scientific and nonscientific inquiry have in common. This short article was a modest attempt to explore that question. Every working scientist, including the most rabid empiricist, uses mathematics, and mathematics is not scientific in any common sense of that word. Mathematics is form of human knowledge, therefore it’s true there is more to knowledge than science, a truth scientists must acknowledge to do their job. Science is also silent (as I take much pain to show) on right and wrong. How to apply scientific results isn’t scientific. Why? That involves knowledge of the Good. Science is silent, eternally gagged, from adjudicating its foundations. Many of those who have simply dismissed philosophy (and poetry and other nonscientific areas of inquiry and expression), including some prominent scientists, have done so without displaying any evidence that they’ve ever worked through what they’re criticizing. Scientists often react strongly when their work is criticized by those who know very little about science, often with good cause. This is a two-way street. It does not seem wise for those who are unwilling or unable to work through challenging philosophical theories (including theories of scientific method) to simply dismiss them all. Where’s the objectivity in that? “I strongly oppose creationist and other ideological bents that just don’t want certain scientific findings to be true (e.g., global warming).” Apparently, he opposes science that says these findings are not true also. Blame religion and no one will notice your lousy science, right? He certainly doesn’t oppose smoke and mirrors, ie misdirection, to avoid detection of errors. So true on confirmation bias, as well as “projection”. 4. Shorthand for “FORE!” — a golfers warning to watch out for an errant shot? Except that yours, Sheri, are rarely errant. The “Scientific Method” ™ seems just a flavor of Hegelian dialectics. 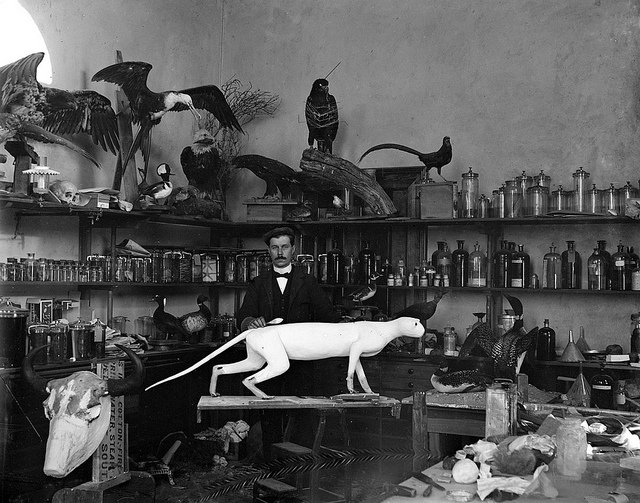 The only things that made it a bit different in the old days were the apparati used and vast collection of specimens. Today you can’t find fossils in computer model code. But it is just the scientific method–requiring principles, primary theories, auxiliary theories, and facts (empirical verification), the Lakatos Research Programme–that shows anthropic warming theories are not true, nor is geocentrism, nor are a host of other quondam popular versions of science. So Blauchowicz (sp?) is wrong about what distinguishes science from other areas of knowledge–what would, in the Middle Ages, also have been called “Science” or “Scientia”. It is replicable empirical evidence (and the replicable is important–it removes miracles from the domain of science), and that is lacking in poetry, philosophy, theology, etc…. Besides the bare bones mechanics of this process, he displays elements of what might be considered a “scientific attitude.” First comes the honesty to recognize that the first step is just a guess. One might get to the guess by considering large sets of evidence or by just glancing at a few equations, but it is just a guess, nothing more. Second comes the need to phrase the guess in a way that it can produce specific, quantitative, distinguishable outcomes to controlled experiments. Some disciplines (e.g. physics, chemistry, biology) have the luxury of performing controlled experiments. Other disciplines, such as astronomy or paleo-disciplines might have to settle for explaining future observations, perhaps using other wavelengths or media. Evolution is such an example, but I think many of the underlying principles of evolution can and have been subjected to this process. Third comes the notion that one is not trying to prove what is “right.” If one ever proved something was “right” that would end the process and the fun would be over. In that sense, science as Feynman saw it is not determining Truth, i.e. what is Right. That is left for other disciplines, perhaps philosophy, religion, or even mathematics. Feynman’s science is satisfied to have a set of working guesses that have not been shown to be wrong, yet. For Feynman, the aim is only to keep doing experiments to determine for how long and over what range the guess is “not wrong.” Fourth comes the genuine desire to see a guess (or existing theory) shown to be wrong in some experiment. A key part of this simple scientific method and attitude is to recognize that finding out something is wrong is part of the fun. It means the game is not over and more fun is to come. When the researcher is uncomfortable with his theory being shown wrong, then he/she has diverged from science as Feynman saw it. In my experience almost all the fun of science comes in when something is found out to be wrong. Many areas of science have been a bit twisted by becoming too invested in a particular theory being “right” and losing that attitude of accepting that it is only not wrong until it is found out to be wrong. If people, scientist in particular, are not working by the scientific method, there is nothing wrong with the method, and the scientists are in error. The same as with other human activities, like theology. Science, as a discipline, consists of individuals independently building on each other’s work, incrementally moving some theories to postulates, other theories to the scrap heap, and so forth. The community of independent individuals collectively develop principles, theorems and so forth that all these independent individuals will agree upon — including the weakness & uncertainties contained therein (if when asked). Here, among the competent, there is very little variation. Can we observe anything similar with philosophy & religion? Hardly. Much of modern philosophical debates address matters pondered by Aristotle & his peers. What’s come of all that deep thinking? Naught. When provable facts force scientific theory & postulates to be amended, they are amended. Not so with philosophy or religion (at least as practiced by a sizable many) — where ancient doctrines, and where they exist associated institutions, will maintain falsehoods or pretend they don’t exist & never happened*. That’s a principle difference between science & philosophy — science as a discipline will, like it or not, adjust to new discoveries/facts. Philosophy, like it or not, will similarly adjust only if the new destination is palatable…otherwise all manner of delusional tactics are applied to maintain a comfortable-over-factual value/belief system. I substantially agree with Sheri. Anyone trying to dismiss the notion that a method is necessary in scientific investigation is trying to sell the idea that science is mere politics… that the “truth” is an ideological fantasy that becomes “true” if it can be successfully marketed. As such, an idea can still be “true” even if the “hypothesis” can be shown to be wrong (and/or impossible). Credit to Feynman on reasonably disagreeing with that nonsense. This is a sly attempt to eliminate the constraints imposed by reality and logic on ideological fantasies that are marketed as “science”. The main fantasy being, of course, “Evolution”; there is no end to the specious nonsense that is invoked to “enable” that impossible fantasy. If one is to try to eliminate a method from scientific investigation one will have to throw out Thomism in its entirety because the Scholastic Method he refined is essentially a method of logical investigation. Note how he goes about it. First, he proposes the question. Then he gives all the possible “answers” he knows about (hypotheses), then he proposes his “solution”, then he goes (one-by-one) showing the flaws and inconsistencies in the other (possible) “answers”. That, ladies and gentlemen, is definitely a “method”. You only need to chuck out a scientific (reality-based, logical) method if you are trying to sell a fraud. Ole Tom can be wrong (and I think he is on a couple of matters) but with his method you can pick flaws in his premises and I’m sure he is delighted if discoveries and right reason increases the understanding of reality… But, of course, impossible fantasies effect exactly the opposite. <i…There Is No Scientific Method…. “Details that could throw doubt on your interpretation must be given, if you know them. You must do the best you can—if you know anything at all wrong, or possibly wrong—to explain it. If you make a theory, for example, and advertise it, or put it out, then you must also put down all the facts that disagree with it, as well as those that agree with it. There is also a more subtle problem. When you have put a lot of ideas together to make an elaborate theory, you want to make sure, when explaining what it fits, that those things it fits are not just the things that gave you the idea for the theory; but that the finished theory makes something else come out right, in addition. That isn’t true. There is nothing to correct. It is only, in a word, change. Problem is this rules out as sciences fields like Biological evolution, astrophysics, geophysics that deal with non-replicable empirical evidence. Miracles are not merely non-replicable. They are, in essence, non-explicable. For instance, the Eucharistic miracle is replicable but not any more explicable for being so. Astrophysics is replicable. It is not particularly easy, but there is no builtin premisse in astrophysics itself that prevents you creating stars and galaxies. Unlike the premisse that God is unknowable that is part of theology. The definition of a miracle is a (one off) event that is contrary to natural processes. Sander d’ Wally, if I could create stars and galaxies I would. And I would create a most remote galaxy to which I would exile the proponents of fantastic superstitions. Oops! I missed a bit. God is unknowable? According to whom? The Agnostic who proclaims that the only thing you can know is that you can’t know anything? Your ridiculous straw man that proclaims that if you can’t know everything then you can’t know anything is a paranoid nonsense. With that premise an aeroplane can’t fly because the fractals and chaos of turbulence can’t be defined. It’s an immeasurable hubris that asserts that because I (or we) don’t know it (or explain it) then there is nothing to know or that it is “unknowable”. Look, ole chap, there are things about God that can be known with great certainty but there is infinitely more that is not known; but that does not invalidate what is known. Mactoul, you’re not correct in saying replicable observations/measurements are not possible in evolutionary biology, cosmology, geophysics. Cosmology: red shift, observations on microwave background radiation, etc. Geophysics: observations confirming plate tectonic theory–fossils and strata south america, africa coasts correlated, deep sea hydrothermal vents and rifts, etc. You need to do more homework. I will contend that it’s not wise to trust the popular media for your “scientific” “facts”. The most studied object in the sky, SN 1054, otherwise known as the Crab Nebula, is a primo example of these notions. Measuring the velocities of the expanding gas clouds via Doppler shifts gave a certain expansion velocity (assuming the Doppler shift of light works the same there as in our lab) and evolving that velocity back in time said the gas clouds should have exploded from a single point about 1000 AD. Looking back in historical records of observations we find !bingo! Chinese observers recorded a bright object in 1054 that appeared on July 4 of that year at just the right place in the sky and lasted for a couple of years. The object was also observed in other parts of the world. Even more cool, the object at the center was later identified via radio astronomy as a 33 millisecond pulsar with characteristics well explained by a neutron star of a particular mass which fit with theoretical calculations of supernovae from stars of an appropriate mass. The combination of multiple observations using multiple phenomena allows a detailed and consistent confirmation of our understanding of supernova. Besides nicely providing two different phenomena (light and gravitational waves) which provide support to the same black hole collision explanation, and confirms the interpretation of a gravitational wave being detected, even more interesting information is provided. This could be the first confirmation that two zero rest mass fields (EM and gravity) travel at the same speed, heretofore known as the speed of light. This has previously been a theoretical assumption. The very small time difference between observation of the gamma and gravitational signals puts a very small limit on the propagation velocity difference between the two fields. FAH, many thanks for a nice and more detailed explanation than I provided. I’ve posted in my blog on the LIGO detection of gravitational waves. It provides a good illustration of the Lakatos model for science, “The Research Programme”. Bob, you are welcome. Many non-scientists do not appreciate the way in which controlled experiments and multiple observations provide similarly restrictive bounds on the possible interpretations of experiments/observations. For experiments, it is easy to see how one can control various aspects of the apparatus and make sure certain effects are ruled out. In the case of observations using multiple scales, media, phenomena, etc. it is harder to see directly how each additional measurement further restricts the possible explanations until finally only one or two candidate explanations remain that can account for all the evidence. In the abstract, it can be confounding. Examples always make it more clear. An interesting case was the resistance of observational astronomers in the 70’s and early 80’s to the notion that a black hole was something that actually might exist in the universe. (As far as exotic things go, observational astronomers are in general a very conservative bunch.) They struggled mightily to explain the increasingly numerous observations of large output of energy (in various bands) from small objects, large masses in sources with not enough optical output, etc.. Finally the weight of the evidence made any other explanation so unlikely that they finally accepted black holes into the pantheon of observable objects. fah, if black holes exist they are not observed in any way or anywhere. Put simply, if there was a “point source” of immense gravity it should have light (and other EMR) and matter that narrowly escaped plunging to its doom orbiting near the “event horizon” at practically the speed of light and other objects orbiting all the way out to where the gravity cannot hold them anymore. No such thing has ever been observed. Black holes are a figment of imagination and faulty conjectural self-contradictory mathematics. Bravo. Excellent post, per usual. Oldavid, let’s work our way to the question of whether black holes “exist” by examining how science works (at least physics and astronomy in this case). It might be helpful to go back and look at the short summary of Feynman’s overview of the scientific method given above in this thread. Recall that he said the process starts with a guess (these are often models, such as a model of the electron, or positron, neutron stars, or black holes), then the consequences of the guess are computed, then an experiment is done and the computed consequences are compared to the outcome of the experiment. Note that he did not say the experiment needed to be a direct or indirect measurement of the guess, only that the consequences of the guess needed to be not wrong when compared to the outcome of the experiment. Now, I know entropy is of interest to you. The common view of entropy is that it represents the amount of disorder in a system. Surprisingly, entropy defined in that way is not measured directly. To measure entropy of a system, one takes a system, isolates it thermodynamically, and then adds small quantities of heat, Q, incrementally. As each quantity of heat is added, one also measures the temperature, T. One then calculates the entropy indirectly from the relation that dS = dQ/T. So entropy is measured indirectly via heat and temperatures. Does entropy “exist?” Feynman would say yes (at least it is a guess that is not wrong), because he left open the possibility that the outcome to be compared could be an indirect one. Now let’s turn to astronomy, in particular to stellar evolution. So far a guess that has not been shown to be wrong compared to observations is that stars typically form from hydrogen clouds, and the size of the star is determined by the mass of hydrogen contained in it. The mass of the star presses in and generates heat in the core. This heat causes fusion of the hydrogen in the core to occur, generating heat and resulting in Helium, the next smallest atom on the periodic table. The heat pushes back on the gravity of the star pulling it to the center and if the heat is enough, the star sits happily stable, not collapsing, not exploding, the heat balances gravity. This process has been observed to be not wrong with respect to observations of most stars in the universe, and stars doing this are said to be Main Sequence stars. The basic guess of the Main Sequence (named now after Hertzsprung and Russell, who worked it out) can be used to predict the age, mass, spectral output, composition, etc. from very basic measurements of the light from the star. However, as time goes on, more and more hydrogen is fused into helium, until there is not enough hydrogen fusion occurring to push back on gravity. But stars have another trick up their sleeve. Helium can be fused in the core to form a variety of heavier elements, such as Lithium, Neon, Oxygen and Silicon. The heat generated from this process can be enough to hold up the gravitational force of the star’s mass and the star may live on for some time. But gravity can be a cruel mistress. In principle the star could keep fusing lighter atoms into heavier atoms and generating heat to hold back gravity’s pull, except for an observed phenomenon: when elements lighter than iron (Fe) are fused, energy (i.e. heat) is produced, but when elements as heavy or heavier than Fe are fused, energy is reduced, i.e. it takes heat to fuse them. No heat can be generated from fusing atoms as heavy or heavier than iron. So if enough time passes, eventually the star runs out of fusion fuel and there is insufficient heat to hold up the gravity. More massive stars press in harder, their cores are hotter, and fusion proceeds faster, so they burn up their fuel faster than less massive stars. When this equilibrium begins to fail the stars “leave” the main sequence and begin some evolutionary path. When stars exhaust their fusion fuel and cannot generate enough heat, gravity begins to win and the star begins to collapse. It collapses until some force is great enough to resist gravity. Two forces are known to occur in such collapsed matter: the resistance to compression of a collection of electrons due to the exclusion principle not allowing them to occupy the same state, and the similar resistance posed by neutrons, also due to the exclusion principle. If the mass of the star is not great enough to overwhelm one of these resisting forces, then the collapse stops and since the resisting force does not require fuel, the result is stable. If the mass is small enough, the electron force is strong enough and the result is called a white dwarf. If the mass is larger and the neutron force is strong enough to hold up gravity, the result is called a neutron star. Above, earlier in this string of posts, I described some of the observations (for the Crab Nebula) that have demonstrated that the “guesses” leading to neutron stars have so far been found to be not wrong for a wide range of observations at various wavelengths and over various stages of the evolution of a star to a neutron star. In other words, the evolution described just now has produced predictions that so far have not been shown to be wrong compared to observations. Other guesses have been shown to be wrong. It is worthwhile noting that most of the observations of neutron stars are indirect. A neutron star has no intrinsic way to generate heat and is often observed based on its interaction with surrounding matter. Now we get to black holes. If the mass of the star is larger than the neutrons can resist, a few times the mass of our sun, the mass that many observed stars possess, then the star must continue to collapse. So far, no forces have been identified that can resist that collapse (which is not to say that some may not be discovered, just that no guesses now produce predictions which are not wrong) and the “guess” as to what happens is called a black hole. As you note, part of the black hole guess is that there exists a surface called an event horizon. However the event horizon is not what makes a black hole observable. What leads to observations such that so far all other explanations than a black hole are wrong is the fact that black holes contain a large amount of mass within a small radius. Neutron stars have a radius of about 10 km and an upper mass limit of about 2 solar masses (the theoretical limit is beteen 1.5 and 3 solar masses). Black holes of the same mass have even smaller radii. If an object the size of the earth orbited, at the radius of the current earth orbit, either a neutron star or a black hole of 1 solar mass then the orbit of that earth would be the same as it would be if the earth were orbiting the sun. In other words, the gravity of either the neutron star, black hole, or sun (all with the same mass) at large distances such as the earth’s orbital radius is the same. We could not tell the difference based on the planetary orbit alone. What makes interactions with each object different is that matter can get closer to the center of mass and still have the full force of the gravity of the object. For example, if a test object that could not burn up approached and entered the sun, as it passed the radius of the sun, the matter outside of the object’s current radius would no longer pull inward and the inward force of gravity would decrease as the object got closer to the center of the sun (the sun’s radius is about 700,000 km). The force of gravity on the object can be no larger than it is at the surface. But if the object approached the neutron star, it could keep going another 699,990 km before it reached the radius of the neutron star, i.e. the “r” in the gravitational force could be reduced by about a factor 70,000 with all the mass still inside the radius of the object. That means the gravitational force on an object just outside the neutron star radius could produce a much stronger gravitational effect than an object interacting with a normal star. The forces that generate much of the heat of matter infalling into a spherical object go as 1/R^2 and 1/R^3 so that matter infalling to a neutron star could be heated in principle about 10^8 or 10^12 more than matter infalling into a normal star. This is solely due to the smaller radius inside which the mass is contained. The greater the heat generated, the more energetic the EM output, i.e gamma and x-rays instead of infrared or optical. Hydrodynamics and other limits on the energy getting out modify this a bit, but the basic point is that the smaller the radius inside which the mass is contained, the more energy can be produced by infalling matter. Since a black hole mass can be as large as there are objects that exist, i.e. there is no upper mass limit as there is for a neutron star, black holes can generate more energy and at more energetic wavelengths than a neutron star from accreting matter. This is solely due to the smaller radius of the object for the same mass and the very large masses possible. It has nothing to do with an event horizon. For many observations, predictions based on a super massive black hole are not wrong (whereas predictions based on other astronomical phenomena are wrong). 1. Unseen massive companions in binary systems that give off X-rays. The masses of the companion are too large to be another known stellar source and the production of X-rays in the system requires the small radius as discussed above. Cygnus X-1 is a classic such case. The other aspect of such systems is that the fluctuation time of the energy source limits the radius of the object to being very small. The measured masses of the compact objects are too large for them to be neutron stars. 2. The centers of many galaxies have masses, as observed by measuring the orbits of stars about the center, that are so large that only the black hole guess is not wrong in predicting the behavior (i.e. no other explanation is known). 3. Extremely large energy sources in the centers of such galaxies such that only the black hole guess is not wrong in predicting the observations. 4. Occultation of distant sources by intervening black holes and occultation of accretion disks in supermassive black holes. These are direct measurements for which again the predictions of the black hole guess are not wrong, but all other known explanations are wrong. 5. The recent observation of gravitational waves and the coincident gamma ray burst from the same event provide a direct observation of the collision of two black holes. The prediction of the black hole guess is not wrong for the signal spectrum and shape, whereas no other astronomical guess has been proposed that is not wrong. The project is expected in the next few years to be able to directly image the event horizons of massive black holes in galactic centers. So to summarize. Through several examples we have seen that the notion of a physics model (or theory, or guess) “existing” is essentially determined by whether predictions made by that model are wrong or not when applied to experiments or observations, either direct or indirect. A guess (or model) that is not wrong when applied to all known experimental results is considered the current best guess, and colloquially people might say that the model “exists”. Examples we looked at were the electron, entropy, neutron stars, and black holes. It is worth noting that all of these concepts are essentially mental models we have that we use to predict experimental or observational outcomes. The word “exist” when used within physics or astronomy to describe these mental models should not be confused with some kind of philosophical notion of existence. For a physicist or astronomer, the mental model is only as good as its predictions. As soon as it is shown to be wrong compared to experiments it is discarded for a new better guess when it becomes available. Examples of discarded notions include a flat earth, a geocentric universe, phlogiston, aether, hidden variables, etc. etc. To make the claim that black holes definitely do not exist within the context of how physics and astronomy are conducted one would simply need to show that other known phenomena “explain” the observations listed above, i.e. are not wrong when compared with the observations and/or that the black hole predictions are wrong compared to observations. Currently, such alternative explanations are not available. Observational astronomers, who are a very conservative group of people when it comes to mathematical manipulation, have grudgingly concluded that so far the black hole guess is the only one capable of explaining (being not wrong predicting) an increasing body of observations. Philosophical objections to aspects of the model (i.e. event horizons, singularities) are personal opinions to which everyone is welcome, but the key point is the success (or not) of a model in prediction of outcomes. Einstein famously had philosophical problems with the modern, probabilistic view of quantum mechanics and he searched in vain for some years for ways to prove it wrong with respect to measurements. Despite that, quantum mechanics remains the best guess for how to predict a wide variety of experimental outcomes. I have always argued that there are many things that exist because we can see what they do without being able to directly observe the “thing” that does what it does. The electron is a fairly good example to start with as it is rather more “tangible” than many of the other things that graduate into the field of metaphysics. Electric charge attraction/repulsion, magnetism, gravity are somewhat less “tangible” than electrons but, although we can easily “see” what is done, you can’t “see” what is doing it. Quantum mechanics is fascinating stuff very much approaching the metaphysical… but I think that argument is way beyond the comments in a Briggs Blog. Anyhow, back to black holes. If, as you suggest, there is an immense unseen gravitation effect (black hole) in the centre of galaxies then the rotational characteristics of galaxies would be vastly different to that observed. We invent a black hole in the centre then we have to invent “dark matter” to explain the observational discrepancy. Invent an accelerating expansion of the “Universe” then you have to invent “dark energy” to make that work too. I just can’t guess just how many quantum “particles” have been invented just to make some conjectured mathemagical equation “work”. It seems to me that Naturalism based on Einsteinean Relativity is bankrupt… it can only survive with the creation of more “debt money” in the form of more inventions of “things” that require the invention of more “things” to make them “work” and so on ad infinitum. You have summarily dismissed aether. There are still some clever bods “out there” that make some very compelling “guesses” that the most mysterious forces of nature are various perturbations, disturbances etc. of aether; including why atomic electrons don’t just dissipate energy to “collapse” an atom into oblivion. Anyhow, there doesn’t seem to be any reasonable alternative to the proposition that all of physical reality is cleverly designed to work just the way it does. And it is consistent, so it is discoverable if one has an infinity of time to explore its never ending intricacies. If you DO like it, please leave a comment. I am eager to talk with you.